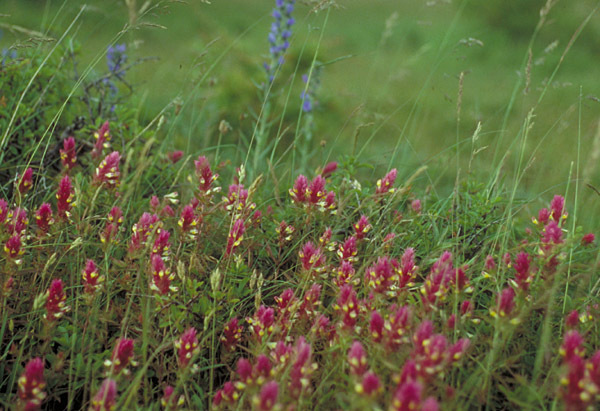 The dry and warm southern slopes especially in the Great Belt area some plants from Southern Europe can be found. The picture at right shows the tiny Medicago minima with the yellow flower heads and thre-lobed leaves. 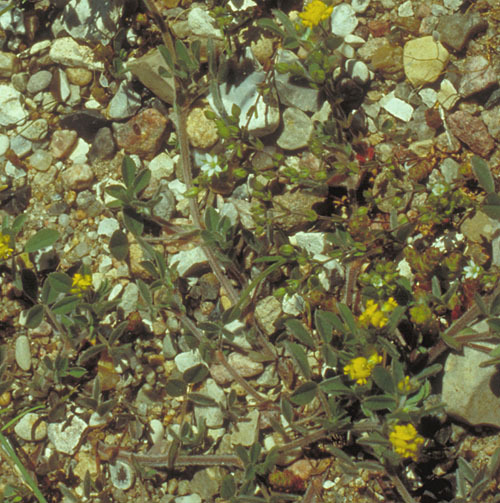 Medicago minima is a typical plant on the warm slopes. On the slopes of Røsnæs several rare species of plants can be found. Melampyrum arvense at the picture below is very rare in Denmark and can only bee found in the southeastern parts of the country..
Back to The coasts of Western Seeland.